Two new studies report that crashes are up by as much as 6 percent in the first states to legalize marijuana—Colorado Nevada, Oregon and Washington—compared with neighboring states that haven't legalized marijuana for recreational use. The research from the Insurance Institute for Highway Safety (IIHS) and Highway Loss Data Institute (HLDI) come as campaigns to decriminalize marijuana gain traction with voters and legislators in the U.S., and Canada begins allowing recreational use of marijuana. As congestion on America’s highways continues to spread, SureFly, a personal helicopter, offers technology for commuters to fly over traffic in a partially electric drone-like aircraft for two people. The helicopter with a target pricepoint around $200,000, includes 8 rotors and a hybrid motor that can fly for up to 2 hours at a time. The Federal Aviation Administration requires a skilled pilot to operate vehicles like the SureFly, but Elliot Bokeno with Workhorse, the Ohio based company trying to bring the aircraft to market, says it isn’t difficult to use, “You don’t need a huge skill set to fly it. If you can fly a drone, you can fly this." Arkansas' Greer Woodruff, senior vice president of safety, security and driver personnel at J.B. Hunt Transport Services, was among those honored by American Trucking Associations Image and Advocacy Award, which acknowledges outstanding industry advocacy efforts. The Highway to Victory Award is given to someone who has championed the associations' legislative agenda and has gone well above and beyond in promoting and advocating for the top legislative interests of the trucking industry. 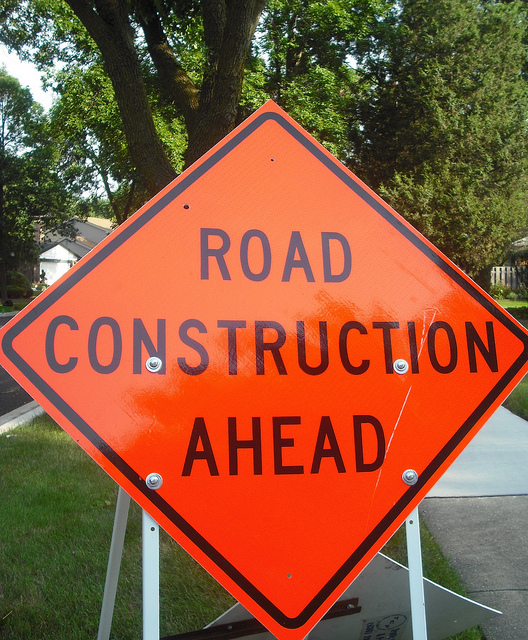 Arkansas Trucking Association applauds the U.S. Department of Transportation for announcing its $1.5 billion investment in infrastructure projects around the U.S. including two important projects in Arkansas. DOT Sec. Elaine Chao announced today that $45 million would be awarded for Arkansas infrastructure through the Better Utilizing Investments to Leverage Development (BUILD) program which is allocated for nationally and regionally significant projects. Interstate 49 at the Arkansas-Missouri border will receive $25 million to complete the project and an extension of a Hot Springs bypass will receive $20 million. Arkansas legislators including Sen. Tom Cotton (R-Ark. ), Sen. John Boozman (R-Ark. ), Rep. Steve Womack (Ark.-03) and Rep. Bruce Westerman (Ark.-04) supported the grant applications and asked Transportation Sec. Elaine Chao to award the funds to these projects in order to boost economic development in the area. Arkansas Trucking Association is proud to announce President Shannon Newton was named the 17th recipient of the American Trucking Associations' President's Trucking Association Executives Council (TAEC) Leadership Award during ATA's 85th Management Conference and Exhibition in Austin, Tex. today. Newton was recognized as a leader in the industry for her advocacy efforts and for promoting the image of the industry across the state and the nation. "Our industry benefits greatly from leaders like Shannon who build coalitions, generate relationships and make sure pro-safety, pro-trucking policies are enacted at the state level and supported at the national level," said incoming ATA Chairman Barry Pottle, president of Pottle's Transportation. "Shannon is a great example of the wonderful relationship ATA has with our state federation and how we can use those to make a positive impact in our industry." 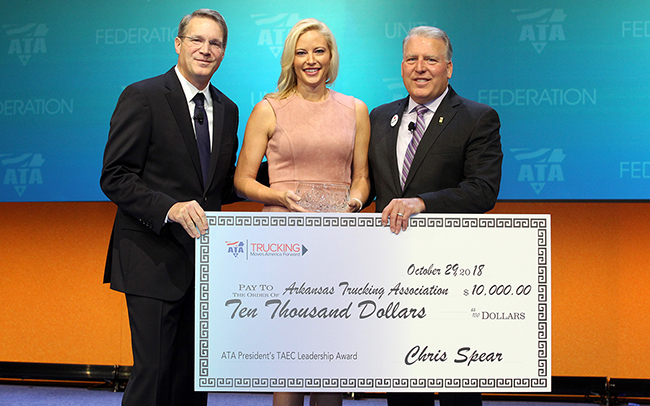 The President's TAEC Leadership Award was created in 2002 by ATA to honor a state trucking association leader and to create an enduring legacy for that leader and for the industry. The award comes with a $10,000 grant for a non-profit 501(c)(3) trucking education or research organization chosen by Newton. On Oct. 18 the Arkansas Supreme Court released its ruling that the votes on Issue 1 (“tort reform”) will NOT be counted on the Nov. 6, 2018 general election ballot. 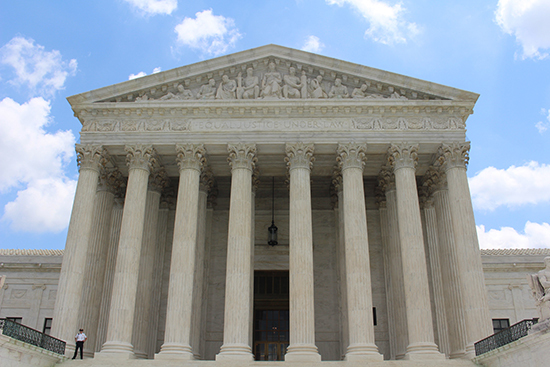 By a 6-1 vote, the Arkansas Supreme Court affirmed the circuit court’s decision that the legislature improperly referred Issue 1 in violation of Art. 19, Sec. 22’s separate-vote requirement and its three-amendment per election limitation. The Court based that determination on its conclusion that the four sections of Issue 1 are not “reasonably germane” to each other or to a “general subject” under the test established by Forrester v. Martin. The Supreme Court’s ruling means that while Issue 1 will appear on the ballot, the Secretary of State is prohibited from counting the votes. 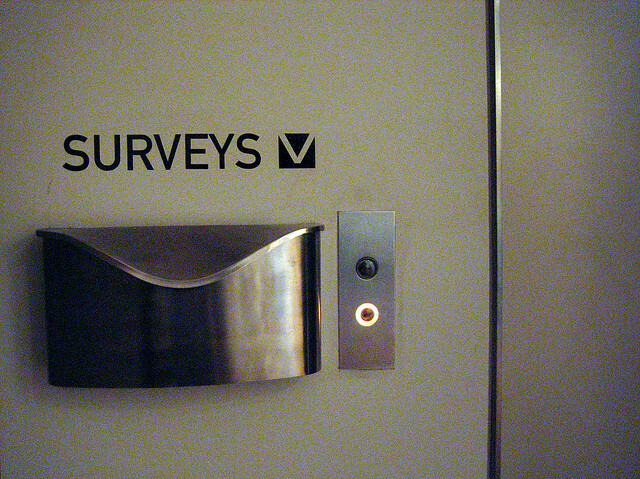 The Arkansas Trucking Association worked diligently through the Arkansans for Jobs and Justice Coalition and proudly collaborated with a diverse group of individuals and interests – including, but not limited to, the Arkansas State Chamber, the Arkansas Hospital Association, the Arkansas Medical Society, the Arkansas Farm Bureau, the Arkansas Health Care Association and the Poultry Federation – to amend our Constitution to allow Arkansas to grow jobs, improve our healthcare system and stabilize costs of doing business in this litigious environment. This coalition has worked extremely hard and spent nearly $3 million dollars to educate Arkansas voters. In October, Congress passed a negotiated compromise version of the FAA Reauthorization bill. The trucking industry, led by American Trucking Associations and strongly supported by the Arkansas Trucking Association, had sought to have language included that would solve an interstate commerce preemption issue related to meal and rest breaks through legislative means. However, that language was not included in the final version of the bill. Pivoting their strategy, the American Trucking Associations filed a petition with the U.S. Department of Transportation seeking preemption of California's redundant meal and rest break requirements. The petition relies on section 31141, title 49 of the United States Code, under which the Secretary of Transportation has the authority to determine that state laws on commercial vehicle safety that conflict with federal safety standards or burden interstate commerce may not be enforced. 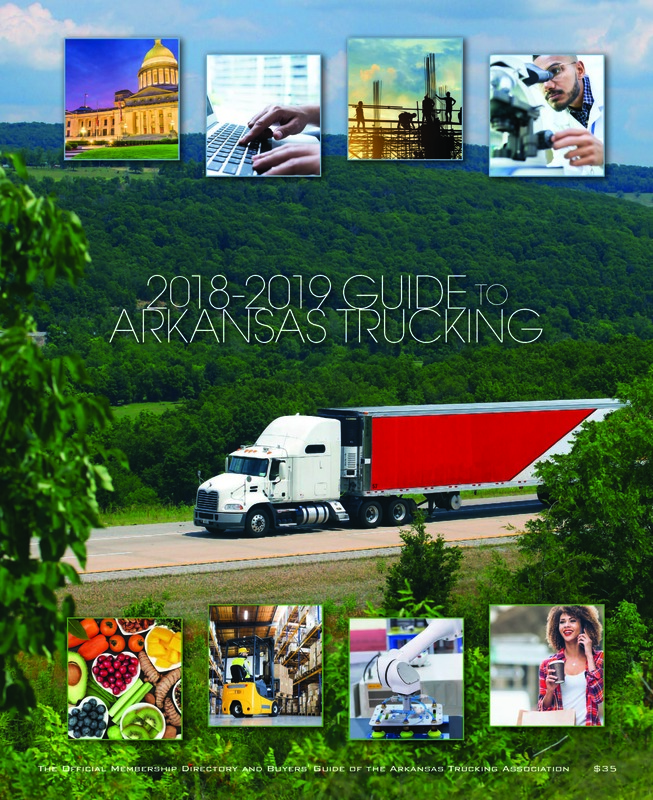 Arkansas has the highest percentage of private sector employees who work in the trucking industry, according to the American Trucking Trends 2018 report. The report showed one in 12 people, or 3.1%, of the 1.004 million people who work in non-government jobs are employed by the trucking industry. The American Transportation Research Institute, a nonprofit research organization of American Trucking Associations, recently released the report showing that in 2017, more than 7.6 million people in the United States worked in trucking-related jobs across all sectors of the economy. Arkansas has a total of 30,700 trucking employees. The Arkansas Trucking Association (ATA) is pleased to announce a formal partnership with DriverReach, a mobile-enabled recruiting management system for hiring CDL drivers in order to address the driver shortage and promote innovative solutions to industry problems. Recruiting, hiring and retaining qualified drivers is a critical problem for the trucking industry. The American Trucking Associations reports that there is a shortage of 50,000 truck drivers to meet the needs of the freight business. If the trend continues, it is estimated the shortage will reach 174,000 unfilled driver positions by 2026. Arkansas Trucking Association held its second annual Safety Symposium at the Embassy Suites in Little Rock on October 2-3. This year's line-up offered attendees from 28 member companies six educational sessions. The event was sponsored by Coolfire Solutions and DriverReach. Tuesday morning was dedicated to Litigation Landmines in three sessions led by attorneys from Wright, Lindsey & Jennings LLP. First Kyle Wilson and Michael Thompson delivered direction about how to react in the critical moments after an accident in their presentation “First Response.” Then Neemah Esmaeilpour discussed drugs and how to ensure you have a drug-free workplace now that Arkansas has legalized medical marijuana. 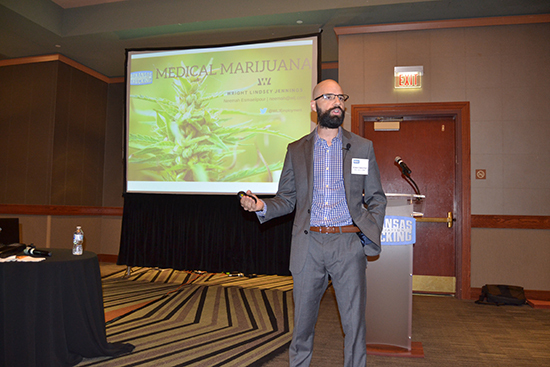 Esmaeilpour answered questions about what to do when your employees qualify for their medical marijuana card and how important it is to identify safety-sensitive positions.